Archie Alemania gives Instagram followers a first look at his newborn son, Caleb Archer. Caleb is his son with wife, Gee Canlas. 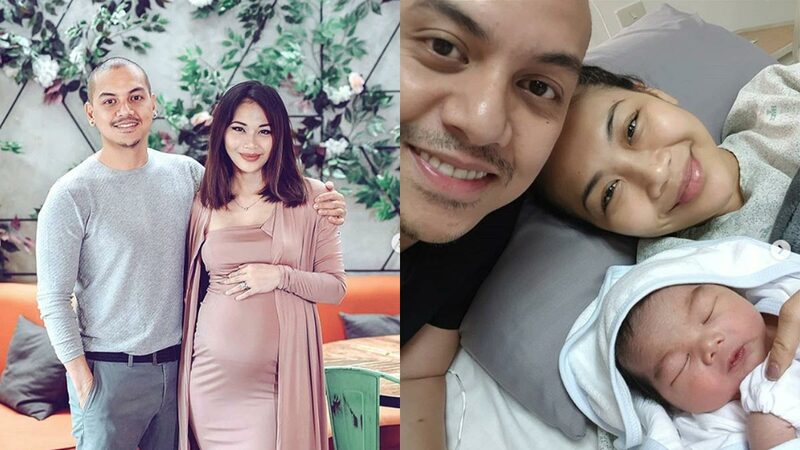 Archie Alemania and Gee Canlas are now parents. The couple welcomed their son, Caleb Archer, earlier today, April 5. Archie introduced Caleb to his Instagram followers: "Thank you Father God for looking after my wife and my son. "Thank you for keeping them safe away from harm. "Thank you for my gorgeous and courageous wife and thank you for my son who is safe, healthy, and pogi. "World meet Caleb Archer Alemania." Archie and Gee announced that they were expecting a child during the start of 2019. Gee was six months pregnant at the time. Writing to her future son then, she said, "We're excited for you lil one!! "You'll never have a boring day with us as your parents, I promise!" Caleb is Archie's fourth kid. His first two kids are named Gabby and Kai. His third child by former partner, Mickey Ferriols, is named Brent. Archie and Gee got married on October 27, 2018, at The Monochrome Events Place in Nuvali, Santa Rosa, Laguna.